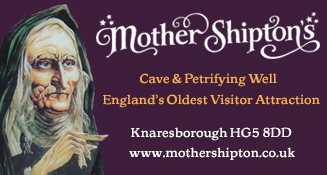 Visiting somewhere out of York? Get the local Mumbler knowledge! 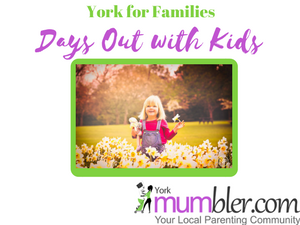 If you want a day trip away from York with your family then we’ve got some places listed below. If you know someone who would be interested in running a mumbler in another area then please check out the Mumbler Franchise Website too. We’d love to hear from you. Journey through the story of the world’s oceans travelling through a unique blend of spectacular marine life from warm tropical waters to the cold Antarctic seas. . Enjoy the fun and educational interactive and audio-visual presentations on your voyage of discovery. All the way from the Alps, Alpamare Scarborough is a waterpark like no other. If you love adventure, it’s time to experience the biggest, the fastest, the wettest, the warmest, the cleanest, the waviest, the newest, the funnest, the most unlike-any-waterpark-you’ve-seen before waterpark. Visit the superb waterfalls on the River Ure. Mumblers have advised to take a backpack/sling for little ones as opposed to a buggy. Beamish is a world famous open air museum, telling the story of life in North East England during the 1820’s, 1900’s & 1940’s. This is an excellent day out. Farm tour including some feeding/petting, huge sand pit, picnic areas tea shop, soft play area (inside) peddle tractors, tractor rides. Some folks call up just for ice cream treats; some stay awhile for the full 50’s belly-filling diner experience, most all the young ‘uns say Billy Bob’s play is awesome and early risers swear by our coffee and breakfast plates. In short, Billy Bob’s Parlour combines a pretty awesome ice cream parlour with a 50’s American diner and amazing play adventures. Awesome ice cream and has an outside play area in a massive barn. The 60 stepping stones offer a fun and challenging experience, but there is a bridge offering a safe and dry passage. There is a large beach area popular with visiting families. Enjoy a picnic, build sandcastles have a little paddle in the river or simply relax and take in the view of the Priory. Calypso Cove is home to fantastic flumes, sensational slides and wonderful waves – making it a great day out for the whole family! Splash your way through the slides, flumes and pools before retreating to The Hideout on poolside to refuel and relax with some hearty grog ‘n’ grub! 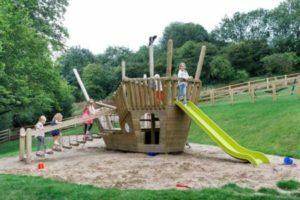 Large, family-run farm packed with animals, a playground, tube maze and farm shop for fresh produce. Captain Barney’s is a barrel load of fun! With levels to explore and slides to dive down, it’s oceans of fun for all our shipmates. Bash past the biff bags, squeeze through the rollers, swing through the hanging snakes before plunging into our ball pool. We also have plenty of toddler toys for our younger visitors, so children of all ages are entertained at Captain Barney’s. Crazy Tykes is an Indoor Soft Play area with visibility in mind for the parents. They have a cafe with 200 seats and a chef on site to prepare all food orders freshly. Catering for children parties they love to do and can seat 60 in our fab party rooms. Fun family days out in our adventure park with Quad Biking, Segways and Footgolf. Enjoy a Picnic in our Woodland Kingdom with slides, swings, assault course, treehouse fort and more! £5 per car and then £15 per car from 27th May. The Woodland Kingdom is open on 10am-5pm weekends and school holidays until November. Free entry to the Woodland Kingdom with pre-booked activities. The exciting, interactive dinosaur museum. A children’s museum with dinosaurs! Highlights include a Tyrannosaurus rex skull, Triceratops bones you can touch and our unique Dinosaur Sound Box. Dinosaurs you can see, touch, hear and even smell! Hull’s own natural history museum. 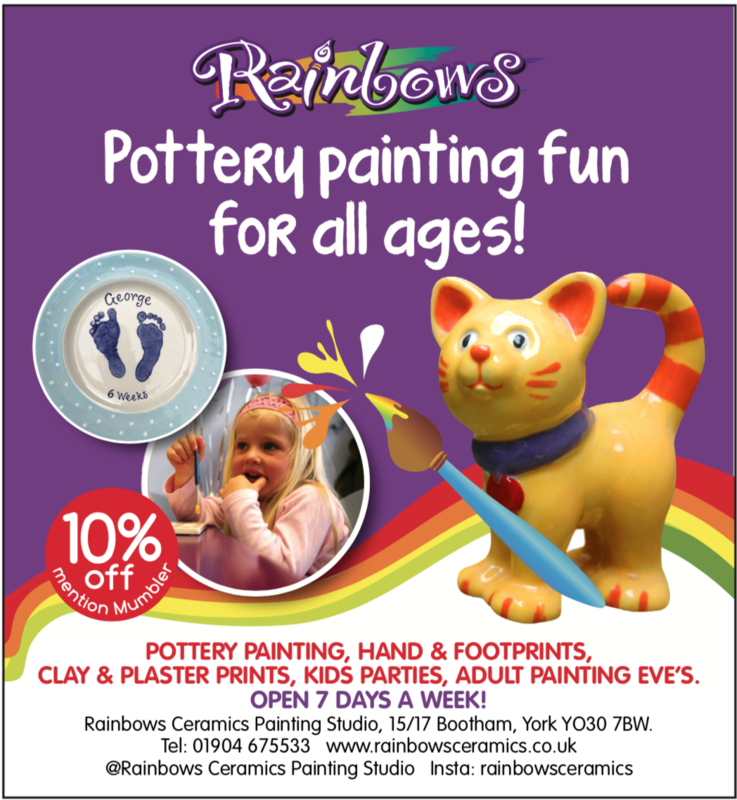 Ideal for children of all ages!We are close to The Deep and Hull marina. A multi-pool water wonderland of geysers, fountains, jets and airbeds. With a wide range of different swimming sessions, there really is something for everybody. From quiet swimming sessions like Leisure Swim and Parent & Toddlers to the fun-packed action of The Big Splash with all the slides and feature. Also offers ice skating and a soft play playzone. This is a great place if you like walking with the kids. We only did a small part of it, but there is also a riverside walk. Its free entry for RHS to the gardens, or £5 for the gardens, but plenty to do outside the grounds too. There is a small play area and tea rooms. A little oasis in a busy urban area. The intimate gardens, with an ever-changing palette of colour, offer a peaceful space to relax and unwind in. Children can let off steam in the natural play areas and get creative in the mud pie kitchen. The hobbit house is waiting to be discovered and there’s no better place to spot wildlife than at the bird hide. 25 metre six- lane swimming pool, with a maximum depth of 2m. Splash Zone to include waterplay features and two interactive water slides connected to the learner pool. Take a Ride behind one of our vintage steam locomotives for a special journey back in time. This museum is a fantastic day out and is really highly recommended for children up to about 11. There are specific areas for the under 5’s and even a couple of special non-walker areas. The concept of the museum is that you learn through play and everything there is hand-on. There is a cafe and gift shop on site although there are indoor and outdoor picnic benches if you want to take your own. Set within the beautiful North Yorkshire countryside, this World Heritage Site offers a great day out for all the family. Hidden within the Skell valley, you’ll find the magnificent ruins of the once great Fountains Abbey and a Georgian pleasure ground to delight your senses. This breathtaking landscape is also home to a Jacobean Manor House, Medieval Deer Park, Victorian church and Cistercian mill. This popular park in North Leeds is renowned for its wonderful gardens, popular tea rooms and circular lakeside walk. At 55 hectares in size, it is located near to two of Leeds’ most treasured nature reserves, Breary Marsh and Adel Dam. It’s also on the route of both the Leeds Country Way and the Meanwood Valley Trail. Harewood sits in the heart of Yorkshire and is one of the Treasure Houses of England. The House was built in the 18th century and has art collections to rival the finest in the land.There are exhibitions of contemporary art, an award-winning educational department, renowned Bird Garden, Farm Experience and over 100 acres of exquisite gardens for visitors to explore and enjoy. Yorkshire’s only 25m heated open air pool. 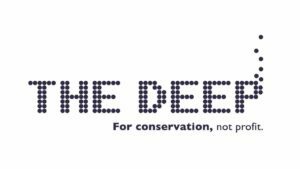 We are a charity providing affordable outdoor swimming and a ‘holiday atmosphere’ to our local community and many visitors. We also offer free parking and there is a children’s playground adjacent. Kids can feed animals, collect eggs and play with rabbits and guinea pigs. There’s also a tractor ride (although it costs extra) sand pits, ride on tractors, café, picnic tables indoor and out and a playground outside. They also host children’s parties. “As a family we have had one of the best days out, we visited Hesketh Farm at Bolton Abbey today & it was fantastic. We paid £17 for a fun packed day. Parking is free & you can take a picnic, they do sell sandwiches, sausage rolls etc in the shop. Loads of animals that the children keep hold, feed, brush & generally get involved in. Lots of indoor & outdoor activities inc a maze, tractor ride (extra cost) indoor/outdoor play area, sand pit….. Loads! Honeysuckle Farm is a working farm. We are also a visitor farm and first opened our gates to the public on June 1st 1992. A lot has changed since then so come and enjoy a visit to the farm and experience all the attractions. Hope Pastures rescues, rehabilitates and re-homes horses, ponies and donkeys. We also provide the opportunity for people to meet the animals and learn about them and how to look after them. You can visit everyday free of charge 10am to 3pm (2pm in Winter). Our visitor centre is open at weekends and bank holidays, with activities for you to do, information, souvenirs and refreshments. Open daily from Easter to end of November. During a visit to the Living Seas Centre you will find a wealth of information about Yorkshire’s fascinating marine and coastal wildlife. Exciting events are run from the centre across the year for all ages. Join Living Seas Officers for a Seashore Safari, come along for an evening talk, create a marine-themed masterpiece or learn about Yorkshire’s valuable shellfish! With all this on offer, the Living Seas Centre is a great place for young and old alike. Like the Living Seas Centre on Facebook. Meanwood Valley Urban Farm, a registered charity, was established in 1980 to provide services to inner city communities. From the Farm’s humble beginnings operating from two old caravans, it has grown into a 24 acre site. It’s not only a working farm with a wide variety of animals but also a major centre for community and environmental work. Providing fun for all the family! Based in the picturesque towns of Scarborough & Whitby, Mini Monsterz are 2 of the biggest Indoor Play centers in North Yorkshire, catering for all age groups! If your little ones like riding on the train, then Mumbler highly recommends a day out to NYMR. The train picks passengers up from Pickering before traveling through the beautiful Yorkshire Moors and stopping at Goathland (picturesque village where heartbeat was filmed) Grosmont and many trains go through to Whitby.Run by volunteers, it’s an experience you and your little one won’t forget. NYMR endeavour to run the steam trains as much as possible. Dogs are also welcome on the train for £3 each but not in the dining cart or first class. Parking is available at the station for £5 per day.Baby Changing is available at Pickering, Goathland, and Grosmont stations. Peasholm Park Scarborough, North Yorkshire is open for everyone to enjoy all year round, 24 hours a day and seven days a week. Entrance to the Park, which is never closed, is FREE. The farm is packed with things to do to entertain your children whatever the weather. The huge indoor play area includes soft play area, tractor zone, adventure trail and much more! The Animal Barn and Interactive Paddocks are designed so the children can see animals in a natural farm environment. The Rainbow Factory brings children’s books to life through theatre, music and craft – staging unique events that inspire, challenge and delight the under-10s. With a talented team of staff including authors, artists and drama professionals, handpicked for their ability to engage with children, you’re guaranteed an enchanting family day out. (Check website for opening – private parties only on a weekend). Beautiful gardens, children’s play areas, educational activity centre, shop, Betty’s Tea Room and much more. Roundhay Park now covers over 700 acres of parkland, lakes and woodland and is one of the largest urban parks in the world. Facilities at the Park also include tennis courts, childrens play area, a small skateboard park, sports pitches, bowling greens, the sports arena, a golf course, and fishing. The Lakeside cafe overlooks Waterloo Lake. Across the road from Tropical World, so perfect to extend a day out. The Royal Armouries is Britain’s national museum of arms and armour, and one of the most important museums of its type in the world. We are located at Leeds Dock, which is only a short distance from Leeds city centre, West Yorkshire. Admission is free. With pond dipping, regular fun events and walks to help you get away from it all, RSPB Fairburn Ings is the ideal place for adults and children to find out more about wildlife. There is a visitor centre selling hot drinks and a wide range of RSPB products. The visitor centre, family trail and Lin Dike trail are accessible to wheelchairs and pushchairs. You get the most out of a visit to SEA LIFE Scarborough by attending our talks and feeding demonstrations which are held throughout the day! Get closer than ever before to our over 1,000 of our amazing creatures and discover something amazing! Set in fifty acres of stunning parkland, this historic country house and estate has a great deal to offer to visitors of all ages. A House, Gardens, zoo, shops and a café. Sewerby Hall and Gardens, Church Lane, Sewerby, Bridlington, East Riding of Yorkshire, YO15 1EA. Sledmere is very children friendly with acres of gardens and grounds to run free. The house quiz provides a fun and interesting way to learn about the house. There’s a children’s adventure play area, sand pit and pedal tractors. Terrace Café and is a great place for younger visitors to play and run around whilst parents can take advantage of the picnic benches nearby. Climb aboard at the Streetlife Museum of Transport and enjoy all the sights, sounds and smells of the past. Admission to the Streetlife Museum is free. Step back in time with 200 years of transport history as you walk down a 1940s high street, board a tram or enjoy the pleasures of our carriage ride. It’s just the ticket for a family day out! Free Entry. Play, climb, trek, bowl, skate, ride, eat, drink Summit Indoor Adventure has something for everyone whether you’re a parent with a toddler to entertain, group of friends looking for a somewhere to go or want to do something together as a family Summit Indoor Adventure has it all. Summit Indoor Adventure, Scott Road, Selby. YO8 4BL. £4 per person, under 2’s free. Temple Newsham, lovely parklands to walk/scoot/ride bikes through, lovely rare breeds farm and 2 nice parks. If you park at the bottom car park it’s free too. The Forbidden Corner is a unique labyrinth of tunnels, chambers, follies and surprises created within a four acre garden in the heart of Tupgill Park and the Yorkshire Dales. A tourist visitor attraction unlike anywhere that you have been before, ideal for the adventurers and those young at heart! Thorp Perrow Arboretum is one of the finest private collections of trees and shrubs in the country. There are tree trails, a nature trail and a children’s trail, a large lake, picnic area and children’s play area. Try to imagine over 2000m2 of giant trampolines, walkways, slides and tunnels all made out of netting. Now picture this safely suspended between trees up to 12m off the ground and set in mature native woodland and you’ll have the right idea. Number 1 for things to do in sheffield according to trip advisor. Meerkats, reptiles, birds, mammals and of course butterflies, also a petting farm. Greenhouses filled with UK’s largest tropical plant and animal collections outside of Kew Gardens. Twiggy’s is a 4000 square foot indoor play centre in Thirsk, based on the wonderful Yorkshire Countryside. Nestling in the shadows of our own White Horse, the centre provides a safe and secure environment in which children under 10 can run off excess energy and have great fun. It is open 7 days per week, 10am – 6pm. It is also available for private hire outside of these hours for either community groups or private parties. William’s Den , Castle Farm, Wold Hill, North Cave, East Riding Of Yorkshire, HU15 2LS. A leisurely stroll around the site reveals the amazing differences from one variety of Lavender to another. Plenty of seats are available. Ride the Wolds Way light Railway located at Wolds Way lavender. 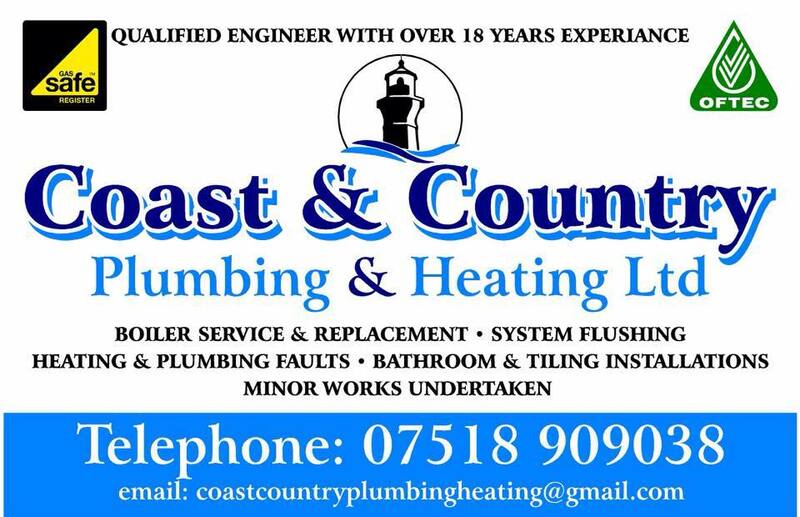 Toilets, Disabled Toilets and Baby Changing Facilities on site. Dogs permitted on a lead. Teashop & Farm Shop Available. Xscape is all about active entertainment. With a real snow slope, bowling alley, cinema, climbing walls, trampoline park, arcade, soft play and golf courses, there are days of entertainment for the whole family at Xscape whatever the weather. Yorkshire Sculpture Park is an international centre for modern and contemporary art, experienced and enjoyed by thousands of visitors every year. Explore open-air displays by some of the world’s finest artists, enjoy fascinating exhibitions throughout four stunning galleries, be inspired by the natural beauty of an historic estate, and get involved in a dynamic line up of events and activities. The Yorkshire Wildlife Park, commonly referred to as YWP, is a wildlife park located just outside Doncaster, South Yorkshire, in England.